Official release: Auberlen and Dirk Werner, driving the No. 25 BMW M6 GTLM, finished fourth in today’s Mobil 1 Sportscar Grand Prix, at the Canadian Tire Motorsports Park, in Bowmanville, Ontario, Canada. The duo completed 119 laps of the 2.459-mile, 10-turn circuit during the two-hour-and-forty-minute race. Teammates John Edwards and Lucas Luhr, driving the No. 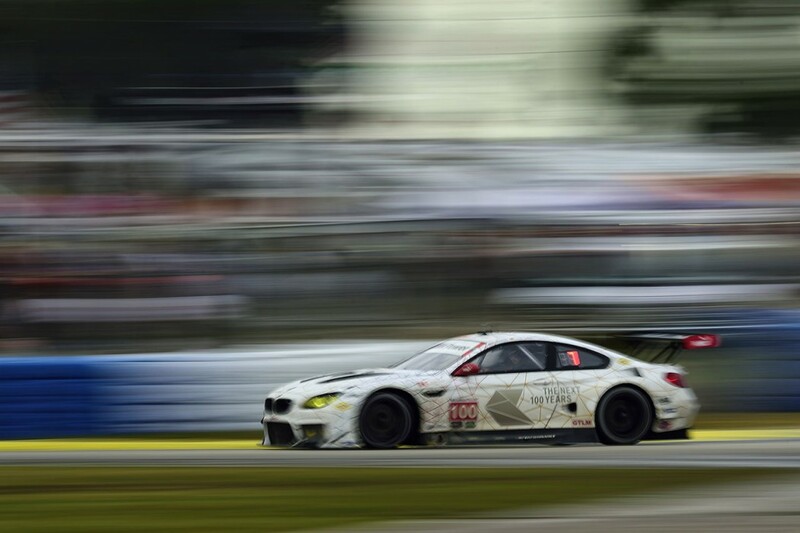 100 M6 GTLM, finished ninth after power steering repairs in the first hour of the race cost the pair 11 laps. The BMW highlight of the weekend was a GTD class win for the No. 96 Turner Motorsport BMW M6 of Bret Curtis and BMW Motorsport driver Jens Klingmann. This marked the very first victory for the new M6 platform in North America. Turner Motorsport also scored the BMW Z4’s first North American win in 2014 on the way to the GTD class championship. The opening stages of the race saw Auberlen, starting in the fifth position, move past Luhr, starting in fourth, on the opening lap. On the very next lap a strong outside pass of Richard Westbrook’s Ford GT in turn eight saw the Californian take second. Luhr held onto the fifth position, but it quickly became clear that there was a lack of performance with the No. 100 M6. He hung on until pitting on lap 21 where it was determined to take the car to the paddock for repairs to the power steering unit. At the 40 minute mark, Auberlen moved the No. 25 M6 into second on lap 32 and the No. 100 M6, now with John Edwards behind the wheel, rejoined the race 11 laps down. On lap 37 Auberlen pitted under green from second to hand off to Dirk Werner. A quick stop by the No. 25 crew kept the BMW Motorsport driver in second place. Werner set the race’s fastest lap (1:15.482 minutes) on lap 46. With 50 laps complete Werner continued to give strong chase, only .525 seconds behind the leading Corvette. The complexion of the race changed as the first caution period of the race occurred at the 1:14 mark (lap 57). The top-four GTLM competitors remained on track in order to delay their final pit stop until they could reach the checkered flag. A few competitors, namely the No. 67 Ford GT and No. 912 Porsche elected to pit. A second three lap caution period occurred on lap 69, not allowing the field to pit, but letting all those who had just pitted to catch back up. As the leaders cycled through the pits the Ford and the Porsche inherited the lead. Werner made his final stop on lap 76 under green, rejoining the field in fourth. One more caution flag flew to compress the field and place traffic in front of Werner that slowed any forward progress. A final yellow flag waved with two minutes remaining to hold Werner in fourth. John Edwards soldiered on to complete 108 laps, finishing ninth. Following the race, the decision was made to run the fan favorite Stars and Stripes livery that has adorned the No. 25 M6 for the Watkins Glen and CTMP races one more time at Lime Rock Park. Round Seven of the 2016 IMSA WeatherTech SportsCar Championship, the Northeast Grand Prix, will be held at Lime Rock Park, in Lakeville, Conn., on Saturday, July 23rd. The race will be broadcast live on FOX beginning at 3 p.m. ET. Follow BMW Team RLL on Twitter at @BMWUSARacing for “from-the-pit-box” updates all weekend. BMW of North America, LLC has been present in the United States since 1975. Rolls-Royce Motor Cars NA, LLC began distributing vehicles in 2003. The BMW Group in the United States has grown to include marketing, sales, and financial service organizations for the BMW brand of motor vehicles, including motorcycles, the MINI brand, and the Rolls-Royce brand of Motor Cars; DesignworksUSA, a strategic design consultancy in California; a technology office in Silicon Valley and various other operations throughout the country. BMW Manufacturing Co., LLC in South Carolina is part of BMW Group’s global manufacturing network and is the exclusive manufacturing plant for all X5 and X3 Sports Activity Vehicles and X6 and X4 Sports Activity Coupes. The BMW Group sales organization is represented in the U.S. through networks of 341 BMW passenger car and BMW Sports Activity Vehicle centers, 153 BMW motorcycle retailers, 125 MINI passenger car dealers, and 36 Rolls-Royce Motor Car dealers. 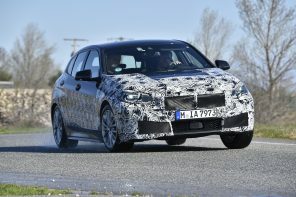 BMW (US) Holding Corp., the BMW Group’s sales headquarters for North America, is located in Woodcliff Lake, New Jersey. Let the press roll-out continue. We now have the first video of the M6 CG. Over-stylized sure but my God is it gorgeous. Check it out after the break.